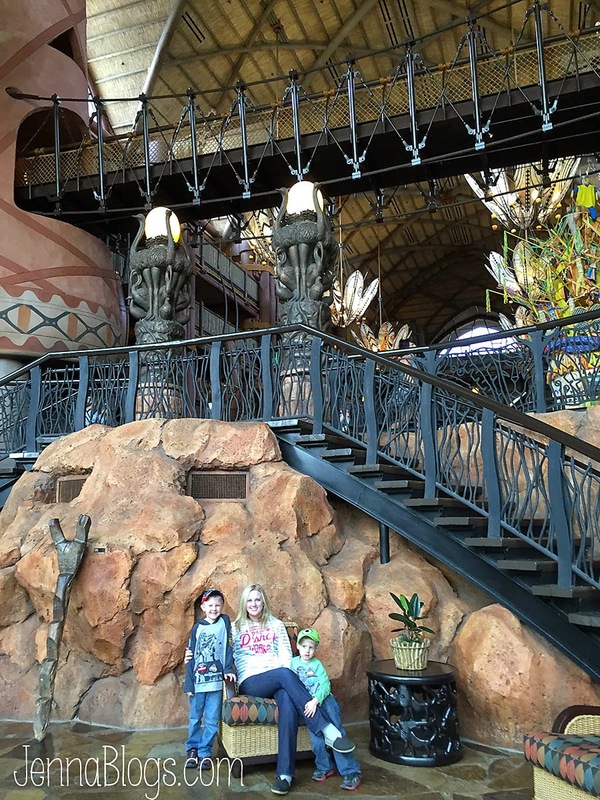 Jenna Blogs: Our Trip to Disney: Animal Kingdom Lodge, Disney Dining & Magic Bands! 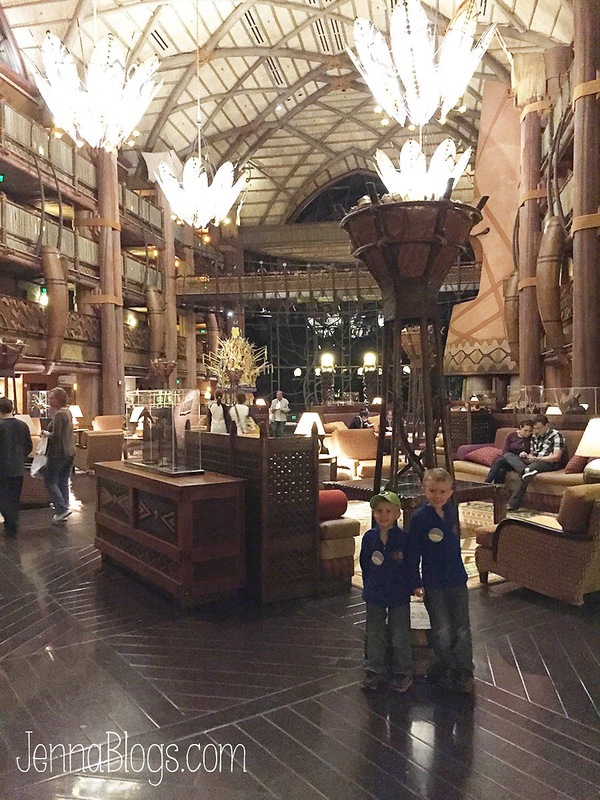 Our Trip to Disney: Animal Kingdom Lodge, Disney Dining & Magic Bands! So, you might have heard that a few friends and I started a Disney planning blog. We aren't travel agents but we are moms who love taking our families on well planned Disney trips! We want to help you do the same and we have all sorts of free resources for you. Head on over to Real Mom's Disney for more information. You'll also be seeing some much more in depth posts about every aspect of my latest trip posted there, so keep checking back in! When Chris and I were first considering going back to Disney, we weren't planning on going again so soon! After all, we were just there 11 month ago. Now, if it were up to me, I would go back every month, but A.) that's not feasible and B.) it's not practical either. Ha! However, the free dining deal came along and we just couldn't pass that up! Disney occasionally offers a free dining deal, meaning that if you stay at certain Disney resorts and buy your tickets through them as well, they will give you free food. We ended up deciding on the Animal Kingdom Lodge (and each getting 1 quick service meal, 1 table service meal and 1 snack per day). The Animal Kingdom Lodge catches some flack for being "out of the way" or "the furthest from most parks." We utilized their bus system and had no issue getting around quickly! The lobby is very pretty and the rooms are small but clean and cute. Unfortunately, we didn't see very many animals from our savannah view room, and I probably wouldn't stay here again...but, even if I LOVED it, I probably wouldn't stay here again because there are so many great hotels to try out! When it comes to the free food, I'll be honest. I was nervous. Would it be enough food? Were there enough places to choose from? Would the kids find things they like? I am here to report that there was an ABUNDANCE of food and everyone found things they liked! We used our table service credits at Be Our Guest, Disney Junior Play and Dine, O'Hana, T-Rex, Tusker House and Cinderella's Royal Feast (which takes 2 table service credits per person). Be Our Guest was by far my favorite dinner! I highly recommend it! As far as the quick service meals go, we ate a several places but my favorite were Wolfgang Puck Express at Downtown Disney (we ate their twice!) and Pinnocchio Village Haus and Magic Kingdom. I'm shocked that Wolfgang's is quick service - the food is so good and much more like a table service meal! A new addition from our last trip is the Disney Magic Band. They were actually just trying them out when we were there in December last year and only a few guests had them. Now they are everywhere and even if you aren't staying onsite, you can purchase a magic band. 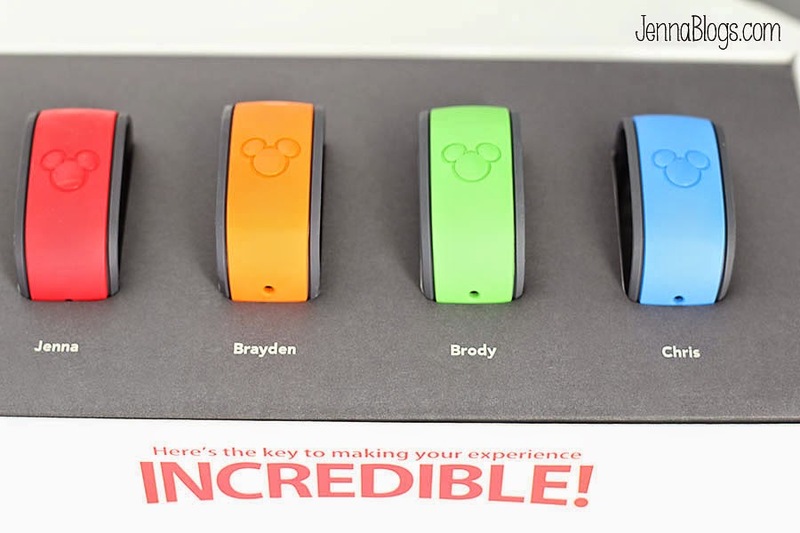 Our magic bands held our room key, all of our fast passes, dining reservations, our photo pass and our credit card. What's that mean? You don't have to carry a whole bunch of stuff to the park with you. I didn't even take a wallet! The kids though they were so cool and they fought over who would get their bands scanned after each photo opportunity. You can check out my easy tutorial on how to link Memory Maker to your Magic Band here! Much more from our vacation is coming up! Leave me a comment and let me know what you want to hear about, both here and on RealMomsDisney.com! Renting a stroller for Disney!